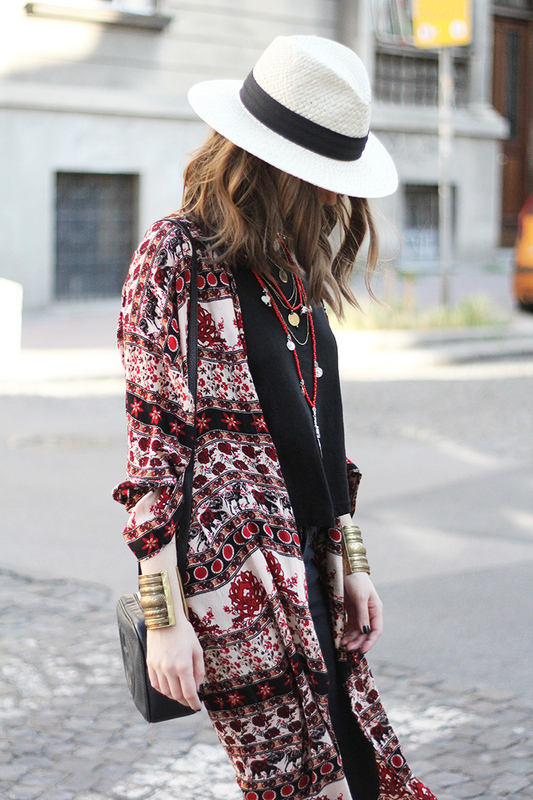 If you're looking for bohemian inspired outfit, you’ve come to the right place! ;) Upgrade your simple black top with a printed kimono. Accessorize with a pair of fringed sandals and for an elevated finish add some cool necklaces and hat.